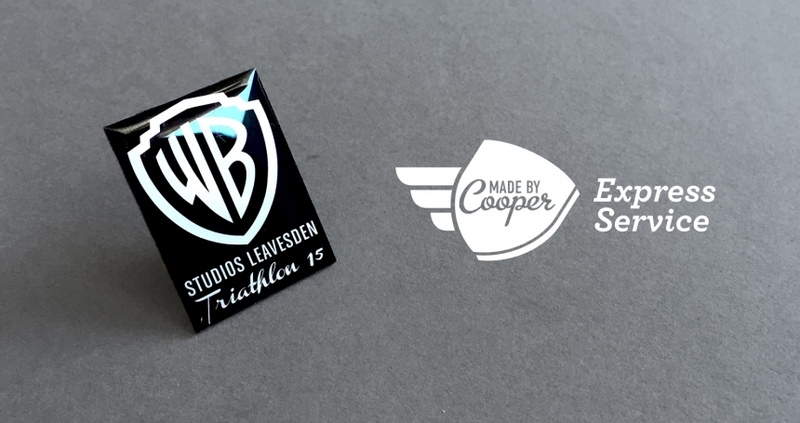 We were recently contacted by Warner Bros Leavesden to create custom printed badges for their up and coming Triathlon. Leavesden Studios was first built over 70 years ago as a production base for thousands of aircraft. Over time the facility has housed a number of high profile productions including the ever-famous James Bond & Goldeneye. This was no normal order for Warner Bros as we managed to make AND deliver the badges in just a week! They were custom made and sent even faster than our usual express service. From everyone at Made by Cooper, we wish you all the best of luck in your Triathlon. Take a look at our other range of badges.